Common Lilac For Sale. 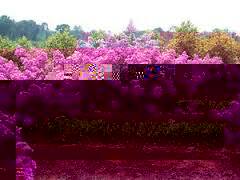 Buy Common Lilac Low Prices. Common lilac is a shrub that is found throughout the United States and Canada. The USDA preferred zones are 4-8. However, some frost damage can occur in the colder zones. The common Lilac has become a very popular ornamental shrub, and they come in a variety of colors such as blue, pink, white, yellow. Lilacs have become an American favorite, and they provide splashes of vibrant color and a robust pleasant fragrance that peaks in late summer. Lilacs typically bloom for two weeks, but if you plant different varieties of lilacs, you can have them blooming for up to six weeks a year.Lilacs never disappoint as there hundreds of varieties with many colors and variances of colors. They mature at 8-20′ tall; this will vary depending on the Variety you plant.Lilacs are a very hardy plant, with proper care they will be enjoyed for many years. For best results plant in the fertile ground, that is well-drained in full sunlight. Plant lilacs five to fifteen feet apart, so they have enough room to grow. In approx. Five years you will be able to enjoy their beautiful colors and smells. Common Lilac is also known as Syringa Reticulata. Hardy planting zones are 3-7. The growth rate is 1 to 3 feet per year. The Common Lilac is a moderately growing shrub and will thrive in moist, well-drained and acidic soil types. This shrub will look lovely when planted and growing in a garden. It will supply beautiful color when in bloom and bring areas to life. This is an easy shrub to grow and to care for. This shrub can grow to be 20 to 30 feet tall and can be 15 to 25 feet wide. It will grow very well in gardens and lawns that have full sunlight. It will provide fantastic color when in bloom with its beautiful lavender blooms. They will appear to be hanging in clusters from the branches. This shrub will also bring lots of wildlife such as birds and other small animals to a lawn. It will have a fantastic scent when in bloom during the spring months. Love the color it provides!